If you saw £20, £50, £100 on the floor would you pick it up? Agreed these amounts are not going to change your life but compounded over a year they become sensible amounts and for those in the UK they are tax free. I am not talking about spending 12 hours a day glued to a screen or taking massive risks, I am taking about 5 to 10 minutes a day placing small fixed odds financial bets at a time that suits you, which once placed you just forget about. Typically my fixed odds bets last 5 to 7 days and my risk is always know ahead of time. 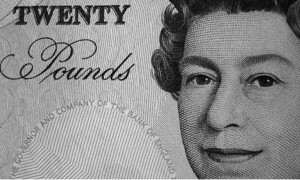 You can start trading financial fixed odds with just a few hundred pounds in your account and if you sign up to my course now you will get a £20 voucher to get you started. Of course you can also place much larger trades and build up your stakes and returns over time. This entry was posted in Uncategorized and tagged city index, how to make money trading shares, Retired Make Money, sharescope, vince stanzioen forum, vince stanzione, vince stanzione course, vince stanzione review, why do I keep lossing money trading. Bookmark the permalink.